Slight bounce. 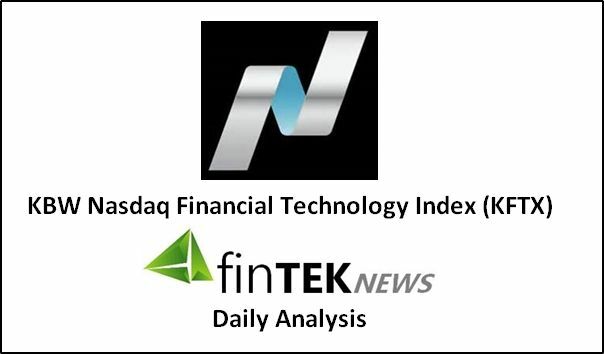 Fintech dip buyers stepped in this morning and pushed the NASDAQ KFTX fintech index back up 3.89 points (+0.36%) , closing at 1069.58. Not so much a big “Whoopee” as a “yeah, did a little buying” type market. Interesting area up in this range for the KFTX. Let’s check the individual stocks out of the 49 index issues that moved 2 points and/or 3% today. Well, that was a fast find. Only 2 “active” issues? Breadth registered 29 up and 20 down so it certainly reflects the index’s slight bounce. Now what? Tomorrow (Friday) would seem to be a kind of blah day. Maybe get some shopping done or a nice nap. Either the next few weeks propel higher (history says yes) or fintech (like others) just pause and digest. Color me cautious. Have a nice evening.